Howell Mountain offers spectacular views and a rich variety of vineyards to explore above the Silverado Trail on the upper east side. 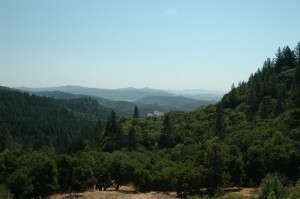 The Howell Mountain Appellation was the first AVA to be designated within the larger Napa Valley AVA. The appellation boundaries are actually defined by a 1.400 foot elevation contour line, as opposed to the typical AVA boundaries based on property lines or rivers. Because of the altitude, evening temperatures are generally warmer and daytime temperatures are generally cooler than on the Napa Valley floor. 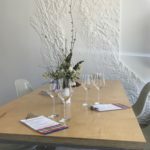 There are many wineries located on Howell Mountain, but most of them don’t offer tastings at their wineries (they either have tasting rooms elsewhere in the valley, or aren’t open to the public at all). All of the wineries we recommend visiting that do provide tasting experiences require advance reservations, so please plan accordingly. Howell Mountain Vintners & Growers Association – Association of vintners and growers in the Howell Mountain AVA whose mission is to advance the public image of the AVA, increase awareness of and interest in the AVA, and promote Howell Mountain as the source of distinctive and world-class wines. They also strive to help the local community through philanthropic endeavors.